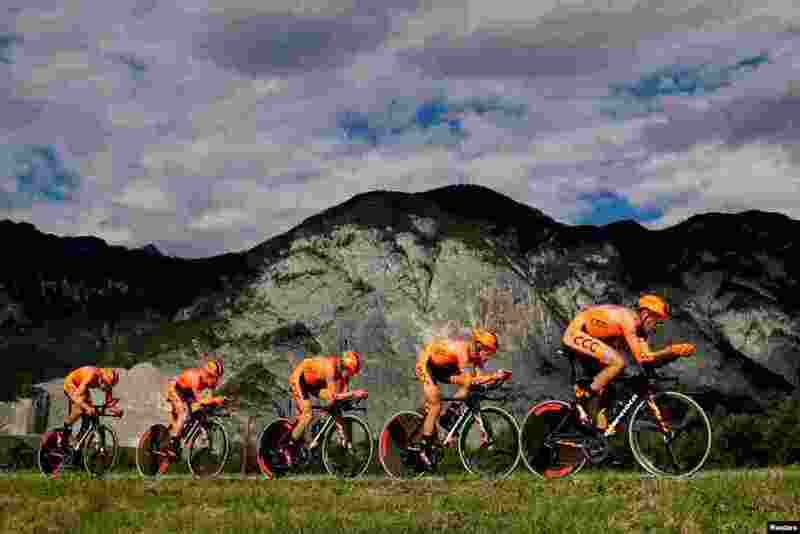 1 Team CCC Sprandi Polkowice's cyclists compete in the men's Team Time Trial race during the UCI Cycling Road World Championships in Innsbruck, Austria. 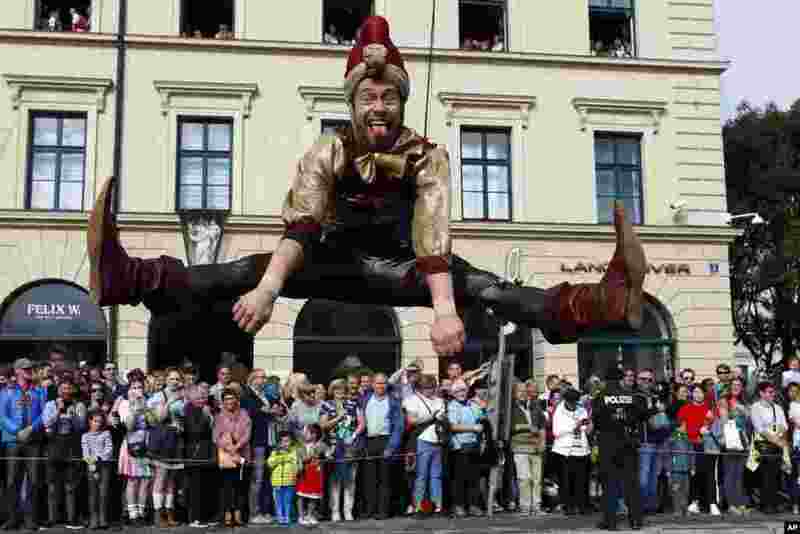 2 A man dressed in historical clothes takes part in the traditional costume and rifle men parade at the second day of the 185th Oktoberfest beer festival in Munich, Germany. 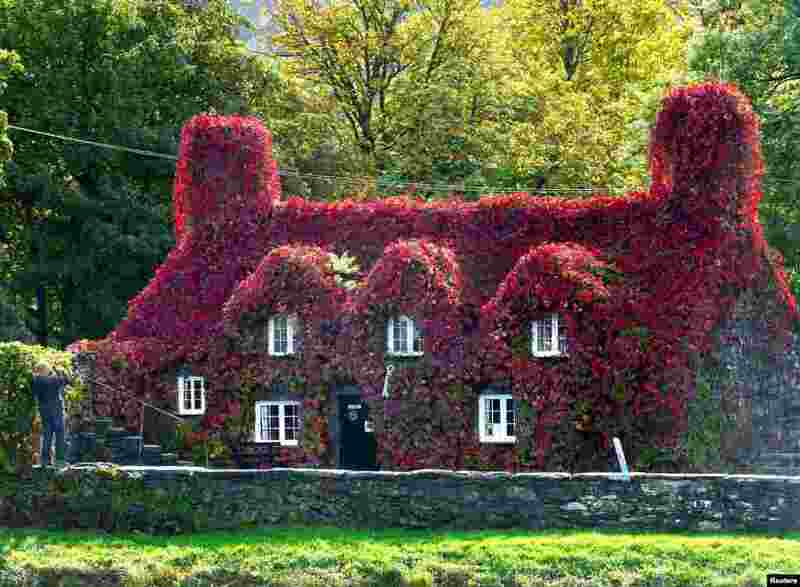 3 A Virginia Creeper covering the Tu Hwnt I'r Bont tearoom has turned to red, as autumn officially starts today with the arrival of the Autumn Equinox, in Llanrwst, North Wales, Britain. 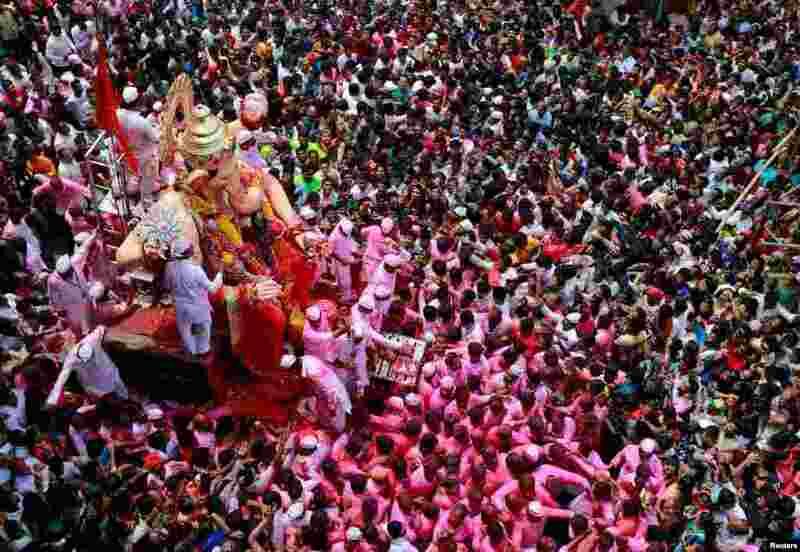 4 Devotees carry an idol of Hindu god Ganesh, the deity of prosperity, during a procession on the last day of the Ganesh Chaturthi festival, before immersing the idol into the Arabian sea, in Mumbai, India.